BUCKTOWN — The City of Chicago wants to shut down the Dolphin night club on Ashland Avenue in Bucktown after a shooting outside left two men dead and a third wounded. A spokeswoman for Mayor Rahm Emanuel said Monday afternoon that "based on the two homicides last night, [the city] will bring a new case against them seeking to shut them down." Ald. Scott Waguespack (32nd), who has called for the closure of the club after previous incidents, had earlier railed against Emanuel's administration for not revoking the club's license. “If Rahm and staff would do what they were asked several times they would have pulled their license,” Waguespack posted on Facebook. 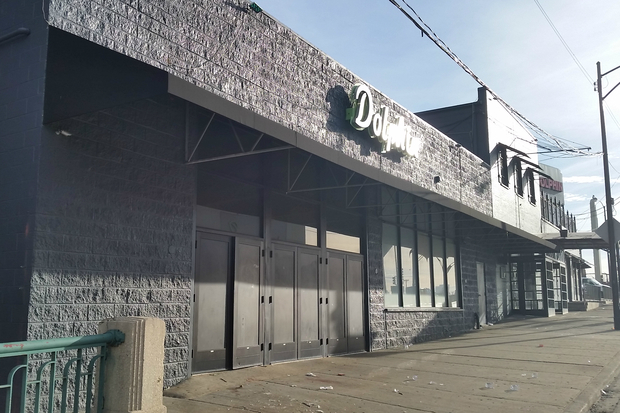 The slayings happened around 3:10 a.m. Monday after a fight broke out inside Dolphin at 2200 N. Ashland Ave. The group involved in the fight was sitting outside the club when someone opened fire, said Officer Jose Estrada, a Chicago Police spokesman. A 41-year-old man was shot in his chest and was unresponsive when police arrived. He was pronounced dead at the scene, Estrada said. A 44-year-old man also was pronounced dead after being shot multiple times, Estrada said. A 26-year-old man was taken to Illinois Masonic Medical Center after being shot in his left wrist, Estrada said. In an interview Monday, Waugespack said he and neighbors of the Dolphin want it shut down. "It's frustrating because we really pushed hard to get some of these bad actor, late-night businesses closed down. It's hard when you go to the Liquor Commission and they keep these places open," he said. "A few weeks ago, a guy was beaten up on the dance floor at Dolphin. The Liquor Commissioner gets all of this info. I don't know why they have to wait until someone gets killed." Waugespack added, "It's not just about the Dolphin — all these late-night licenses are draining resources." Emanuel spokeswoman Elizabeth Langsdorf said the city was able to close the business in 2010 but "per a court order, it was allowed to reopen." "Since the business was reopened, we have been unable to shut it down again because the circuit court has found to be in compliance," Langsdorf said. She said they have "continued to aggressively enforce against this establishment." The club has been cited and fined more than a dozen times since 2006 for various violations, including over occupancy and operating after hours. Owner Sam Menetti could not be reached for comment. Outside the club Monday was a bouquet of flowers accompanied by a group photo just a few feet from two large bloodstains. A shattered champagne bottle was a few feet away, amid more shattered glasses and plastic cups. The club, on the eastern edge of Bucktown and just west of the Chicago River, has a history of shootings and violence. “It is difficult for the city to take away a liquor license. Having bodies outside of your nightclub doesn’t seem to be the criteria. This is the fifth person shot or killed at Dolphin in the past 15 years that I can remember,” said Steve Jensen, president of the Bucktown Community Organization. “The Bucktown Community Organization expresses condolences to the victims’ families and wishes that the proprietors of this nightclub had a better grasp on security on the perimeter [of building]. This is all about having security and staff around the club,” Jensen said. After previous shootings, Waguespack called for the club to be shut down. Two years ago, the club, formerly Green Dolphin Street, rebranded to just “Dolphin” and turned its focus from jazz to electronic music shows. Just one month after being rebranded as "Dolphin," a fight involving two employees broke out at the club, leaving a man hospitalized.